By Jake Rocheleau in Web Design. Updated on November 10, 2017 . Internet Explorer 6-8 – No HTML5, Flash Only! If you remember, earlier I mentioned that most flash video players will support MP4 files as long as they’re encoded in H.264. As such, each of these browsers will embed MP4+Flash as a final resort. This means you only need to create two different video formats to support all browsers. MP4 for Safari/IE9 and a choice between WebM or Ogg for the rest. In my opinion I highly recommend sticking with the WebM format. It has some big names behind the project (namely Google) and has gained a lot of traction in the HTML5 community. Ogg/Ogv will be supported but will most likely lose out in popularity to WebM’s smaller file sizes. You can read a related piece on the future of video on the web written by Sean Golliher. Let’s now take a look at the syntax required to embed some sample code. All we need is the HTML5 video tag to reference each movie URL. Notice the controls and autoplay attributes don’t need to be set with any values. I also included a poster attribute which preloads an image over the video player before streaming. This is a common preview with many web players. 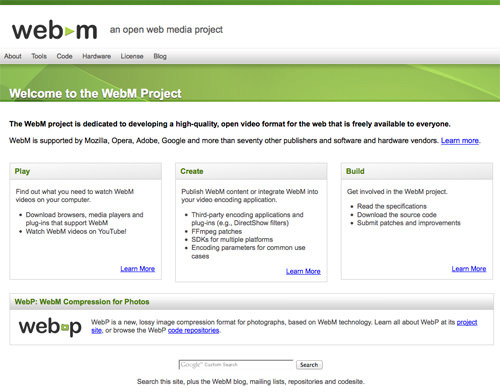 We offer both MP4 and WebM formats internal to the video element. If neither of these can be loaded then we display an error for the user to update their browser. The example above is perfect for all standards-compliant web browsers. Yet we also need to consider that the world is not always at the cutting-edge of technology. 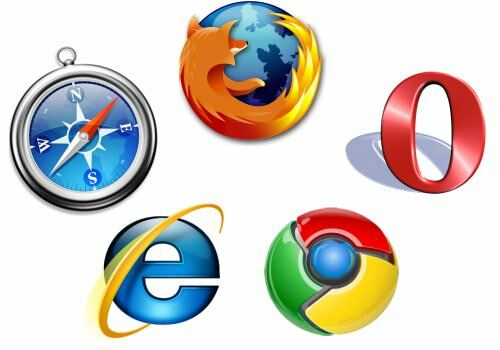 We need to support users on older versions of Safari, Mozilla Firefox, and especially Internet Explorer. The best way to achieve this is through a Flash fallback player. These can be added using the embed or object tags to reference a third party .swf file. JW Player and Flowplayer are two free open source solutions you can consider. But also check out premium video players on ActiveDen which can go as cheap as $15-$20. Now let’s tweak the code above to include a fallback Flash player to support nearly every browser in existence. This topic is still highly debated since the mobile industry is so young. Apple came out with support for MP4 on Mac and iOS devices. This means you can natively stream .mp4 video files on your iPad, iPhone, or iPod Touch in the standard video UI. This covers a lot of the market share. Recently Android devices were having a difficult time getting to this same level of support. However Google has finally adopted .mp4 web streaming which now capitalizes on nearly all mobile users. And since Flash isn’t an option here MP4 is the best solution available. This is why you want to embed the .mp4 code first so that iOS devices can recognize the file immediately. One bug that must be mentioned is one existing between Flash players and native HTML5 .mp4 streaming on Safari. Since the browser can support both files, you may have trouble getting the HTML5 video stream in place of Flash. However thanks to this great blog post on TUAW it’s easy to change your browsing user agent. This will force your webpage to recognize the browser as running on another device. Most likely you would choose iPad, which does NOT support any Flash playback. This is the only major issue you may run into when testing MP4 native & flash playback methods. The same developer in the Opera article provides a working demo of their scripted video player. The opportunity to customize your own UI controls is outstanding. It just goes to show how powerful HTML5 video is becoming. This is another big issue which will likely confuse less tech-savvy individuals. You just want to get your website up and streaming and now you have to deal with converting videos? Well it’s actually not all that difficult. To deal with MP4 which is your biggest priority, you can use HandBrake which is a free, open source solution which runs on all 3 major OS. It’ll support H.264 along with a few other codecs which makes this the best option for freebie users. If you have the money to shell out I must recommend Xilisoft converter which is on the Mac App Store for only a $40 lifetime license. It’s looking like the WebM route makes life a lot easier. Miro Video Converter is a free tool for Windows and OS X which produces great quality WebM files. It can also do Ogg Theora encoding which comes out with pretty great quality as well. Video formats with HTML5 specs are still new to developers. There are open protocols just waiting to be played with to allow for custom controls, sliders, play/pause icons, etc. If you are feeling bold, check out this tutorial on how to make your own HTML5 player (published on Splashnology). The code is a bit intense for newcomers as it requires advanced CSS targeting and a bit of formal jQuery. There are other frameworks you can build on which already offer a customized player design. 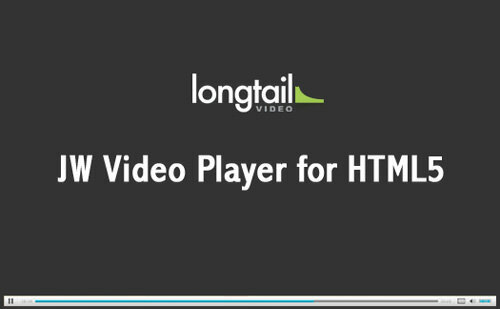 Similarly this slideshare presentation is a great introduction to building an HTML5 video player. <video class="video-js vjs-default-skin" controls preload="auto"
If you happen to run a WordPress blog you can also try their custom WP plugin. It will automatically include the library js/css on pages where you display HTML5 video. And you can do this from within any post or page editor using shortcodes( see here). I hope this introductory guide can stir your interest in the future of web video. With more users turning to mobile it’s important that HTML5 standards are adopted for these types of media. The Web should be made simpler so that developers can produce fully-supported solutions much quicker. 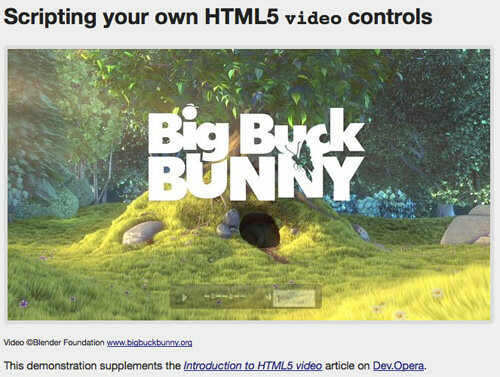 We would love to hear your ideas and suggestions for the future of HTML5 video. If you’d like to share please feel free to leave a comment in the post discussion area below.